I am learner, educator, risk taker, wife, and mother of 2 preschoolers who believes in the power of collaboration, teamwork, innovation, and maximizing learning for ALL students. My husband and I just celebrated our 11 year wedding anniversary! We take pride in our life-giving values, and we hope to impart these on our children. We have two curious, fun loving kids who bring so much happiness into our lives. 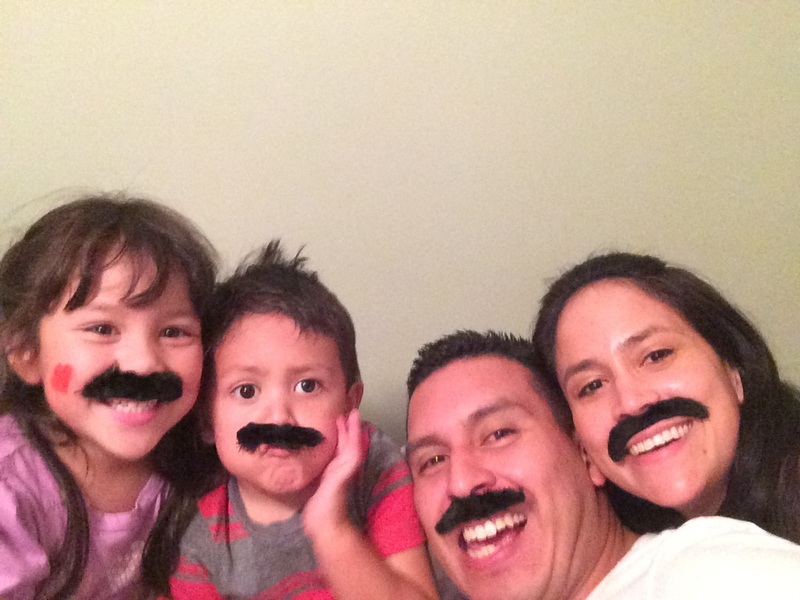 As a family, we enjoy exploring new towns and the great local food spots hidden within. It all started with a little girl who was always curious about the world around her and enjoyed helping others. I earned my teaching credential and Bachelor of Arts degree at Loyola Marymount University. My educational background continued at Cal Poly Pomona with an Administrative Credential. My adventures as a teacher began in Hawthorne and Torrance Unified until Holly Avenue Elementary, in Arcadia became my home for 13 years. The last two of those years, as a Academic Program Coach, I was able to create technology rich lessons to support all types of learners and give a voice to students and their creativity. I look forward to continue this passion as an TK-12 Innovation Coach and Rancho Lab School Teacher in Arcadia Unified School District. I'm somewhat of a foodie...I enjoy trying new restaurants with my family...if you know of a good restaurant, send the name my way! 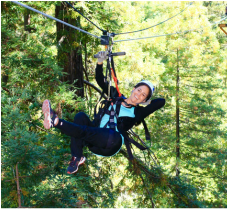 Facing my fear of heights...I just went zip lining in the Redwoods!